A wedding day can be stressful. Everything must be perfect from the decorations to the venue to the invitations. Just like your wedding, you want your engagement ring to look beautiful and stand the test of time. It’s important to monitor the condition of your ring and periodically restore the ring’s brilliance with a proper cleaning. Unfortunately, no matter how careful you are, your ring could lose a stone. Or the prong that connects the center piece could break. Or your finger could grow after having your first baby. Now, engagement ring repair, that is stressful. 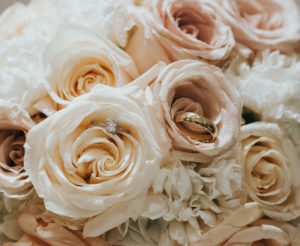 It’s important to find the right jewelry repair store to help revive your engagement ring and bring it back to its condition on your wedding day. In this blog, we will discuss how to find the top custom jewelers in your area that can handle everything from ring resizing and ring restoration to a broken engagement ring that needs repair. How do i find a jewelry repair stores near me? How do I find jewelry repair stores near me? Where is the best place to go for jewelry repair near me? These are great questions. It’s important to find the right custom jewelry store that fits your style. Different jewelry stores specialize in different styles. A good place to start is at your local jewelry store’s gallery. Custom jewelers love to show off their collection. Forget about checking the Yelp ratings and go right into the gallery to view samples of the store’s work for yourself. Don’t forget to check at the jeweler you bought the ring from either. Different jewelry shops have different policies, insurance, or deals if you need a repair. Before you spend money to fix your ring, it’s always good practice to check with the jewelry store that it came from. Also, let’s not forget about price. A ring repair could be as simple as a ring size alteration or as complicated as adding a new halo with a larger center diamond. It’s nearly impossible to find pricing information online. You need to ask. Call around to multiple stores and price it out. Be as informed as possible. Like most purchases, price isn’t the only factor. The more well-established jewelry repair stores won’t be the least expensive. That is because they are typically better. Don’t jump over a nickel to pick up a penny. If you lose a stone, take your time to research what you want before you shop for a replacement. As you are researching, keep in mind the 4 C’s of diamond quality: color, cut, clarity, and carat. A good place to begin your research on diamonds is at GIA: 4 C’s of Diamonds. When you’re in the market for a stone replacement in rings, you need to find the right diamond and the right jewelry shop to fix it. I don’t suggest buying a diamond online but you can do a lot of research on pricing before you stop into a local shop. You can find just about anything online these days and diamonds are no exception. Researching beforehand will allow you to narrow down your preferences and feel confident that you’re getting a fair deal. Many websites let you easily compare between different cuts and colors so you can start making notes of your preferences. As with any repair, always check with the jewelry store you bought the ring from to see if you have any recourse. Different stores have different policies and insurance protecting stone loss. It never hurts to check. The same is true for the custom jeweler you choose to repair the ring. Ask about guarantees or insurance policies that can protect you from the loss in the future. Where can i get my ring resized? Where can I get my ring resized? Well that’s easy. There are many places to get ring sized. Just about any jewelry store will resize your ring. This typically isn’t very expensive or time intensive. Look for a good deal but, maybe more importantly, check the time to completion. No one likes going a day, let alone a week, without their beautiful wedding ring. Jewelry repair & design can often go together. Have you ever wanted to add an additional halo or a new center piece? A broken ring is a perfect excuse to spruce up the ring. Just like in marriage, it’s good to keep things fresh. But seriously, this can be the best time to upgrade the ring. Like we talked about before, make sure you pick a top custom jeweler that matches your style. Also, remember to do your research as we talked about above. It’s good to have plan in mind when you come into a jewelry store. Try to find a picture of the style you want. This helps convey your vision. Need to resize gold ring for your husband? Let’s face it, you’re a better cook than he gives you credit for. How do we know? He is a little heavier than when you first married him… and that’s okay. Resizing a gold ring is straightforward. Also, we both know his gold ring is scratched up. When jewelers resize the ring, they also restore its original shine. This is a win-win. Once again, look for a good deal but also look for a jewelry store that won’t put you off for two weeks. Looking for a platinum ring polishing service? Platinum is gorgeous but unfortunately, it dulls very fast. It’s important to find the right platinum ring polishing service. According to GIA, the leading authority on diamonds, there are specific techniques when polishing platinum. Engagement rings are a symbol of commitment that stands the test of time. The best way to maintain your ring is through proper cleaning and inspection. At some point, you will likely have an issue with your ring that requires fixing. 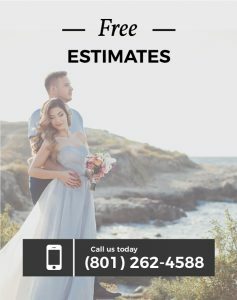 With the right jewelry repair shop, you can restore your engagement ring to the condition it was in on the day you said, “I do.” Here at Steadman’s Jewelers we value precision and perfection with every ring. As a small, humble, store in Murray, UT, we look forward to working with you.